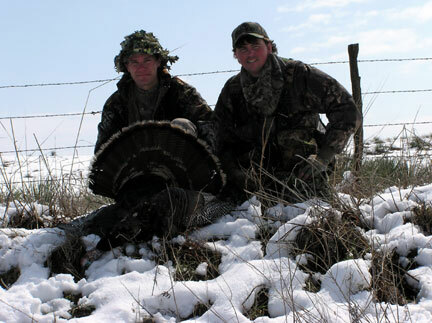 self guided hunters conducts their own scouting and hunt on their own schedule. Recommendations will be to numbered properties. First year members get extra attention as a means to ensure they do not waste time by traveling to a wrong lease what they are after. Each one page county lodging listing should be printed to keep with each county’s land map sheet set whenever traveling. Lodging reservations are always recommend made prior to travel as expecting room availability on arrival may be disappointing due to limited motel space common to country locations. Highway or railroad crews have been known to book an entire motel at weeks at a time on an unpredictable schedule. Our land is of turkey holding habitat within regions of Missouri, Kansas, Iowa. Regions productive over years of seasons. Proof is we are not limited to short driving distance around a lodge. We make all of each state available to us where to lease land. 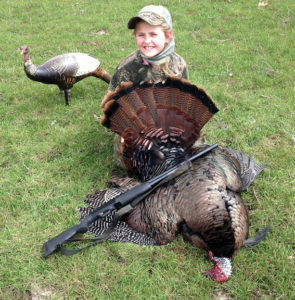 When we do lease land it is within areas providing satisfying turkey hunts. A means to secure return hunters over years of hunts to come. That is the extent of what Mid-America Hunting Association provides self guided hunters. We are a self guided hunt execution organization. Not a club, guide outfitter, equipment provider, lodge operator or hunter trainer. An example of a single hunting map sheet composed of over 3,000 acres. Leases are highlighted as black blocks and numbered. 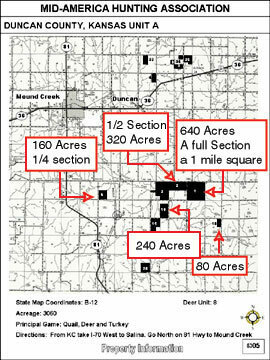 Red boxes are additive to this illustration showing acreage per block be it a section at 640 acres, a 1/2 section of 320 acres, or a 1/4 at 160 acres and so on. Each self guided hunter would reserve his choice of a designated lease on days he wants to spend in field. Intent is better than just separating hunters on any day hunted. We have enough land there is no need to have any one hunter to fall in on heels of another. Our least productive turkey region telling about what must be one satisfying trip. A key aspect about these two hunters is they went knowingly to our worst turkey hunting region, truly self guided when going against our advice. Meaning low bird population densities, widely distributed flocks, least reproductive habitat we have leased to support turkey hunts. They came away with success superior to most. Their viewpoint as traveling hunters was to use spring season as motivation for a deer scouting trip. Their effort was where they planned to chase deer come fall. This is common of traveling, non-resident membership. Weather was as adverse to be experienced during opening week in early April when toms are certainly well henned up. Opposed to this approach would be to travel to our most dense turkey populations regions providing greater opportunity to tag, tag a high scoring tom, do so covering each available 5 spring season tags. Within our approach each hunter can work with us to develop his own approach to a self guided spring season trip. allocation a membership after fall seasons, before spring season. Any hunter’s first foray onto Association leases would be to call us long in advance to receive recommendations of where to find some turkey. Taking those recommendation, using member issued maps/aerial allows self guided hunters to develop a priority of work from first to last lease of where to apply his effort. Change of mind set from seeking out just one spot to cover ground to find what is sought. A better approach than putting all hope for luck into one spot. On arrival day, should be considered a scouting day. Find flock, roost, feeding, water. Setup by next morning. Then repeat. Not stopping until having a minimum of two known flocks. While luck may result in a tom tagged on a first morning a more likely outcome would be to listen and observe a roost, flydown, and breeding/feeding/movement patterns as a means of determining a good setup. A penalty of self guided hunts. Subsequent days should lend themselves to increasingly greater opportunities for success until all tags filled. Land and turkeys are there, waiting. Self guided hunters can take their time to setup their hunts as they want them. If a first flock does not workout there are others. This scouting as first effort is by far a significant distinction between our self guided turkey hunts approach to guided hunts. Scouting effort is not a waste of time. Scouting effort is the truest part of any hunt. If someone’s scouting effort is effective then any “hunt” is a shoot rather than hunting. Scouting art is as required as calling, decoying, camouflage skills. Those reading this article mostly agree. Our placement of this description is coming to agree on what we offer to who we serve. Should any self guided hunter find this sequence of activities results in over-pressuring his first lease then simply a change of reservations is required to relocate to another farm. Easily done as each hunter will arrive with a plan A, B, C to insure a range of options are pre-planned to activate should any adverse condition arise. Point being each hunter has choices. Not placing all his hopes, money, effort on just one single place or time. A second probable self guided turkey hunter sequence would be for those who are allocated a membership after spring turkey season, before fall seasons. During any fall season trip hunters would by happenstance encounter turkey sign. Marking those encounters on his map sheets over time will add up to more than one possible spring turkey spot. Repeat every season. A process creating more hunting, less time setting up a day’s effort for any 30 seconds of heart pounding success. Year to year synergistic effect would continue as land presence frequency builds on prior efforts over any same collection of land. This builds up to having more desired experience of heart pounding hunter to wildlife encounters making more memories. All means greater satisfaction on increased frequency. A more intense feeling when self guided than when led by hand. As proficiency of exploiting land resource increases, many also increase occurrence when a tom or two is seen with an exceptional beard or body size. Those toms then become objectives rather than just any turkey to fill a tag. 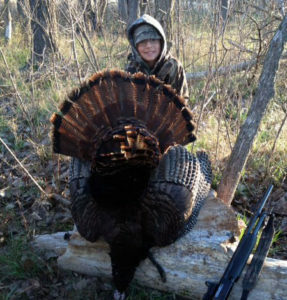 This builds into a different satisfaction of knowing turkeys are there, land resource plenty to support many hunts and enhanced quality of individual hunts of exceptional animals brings an increased level of satisfaction. This is a natural progression within our organization. An alternative comparison is a collection of many average toms which soon would degrade into routine, likely lead to hunter’s cessation of future hunts. 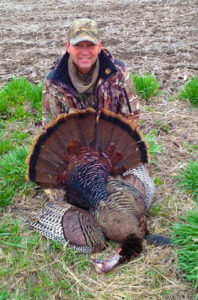 A short answer to this longer discussion of self guided turkey hunts is that each hunter makes his own day in field. We provide private land resources, through year long observation recommendations to make all hunt as good as they can be.